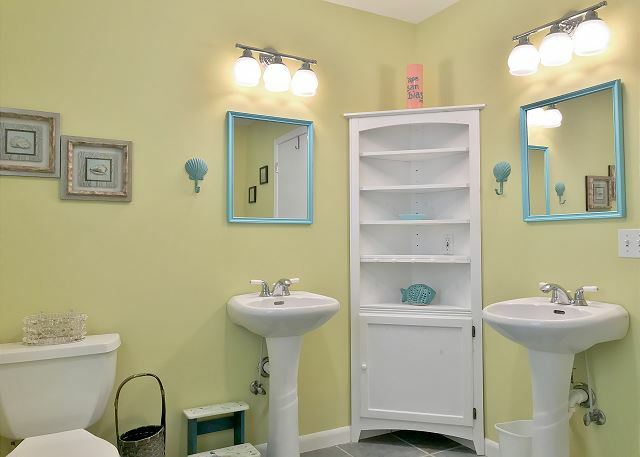 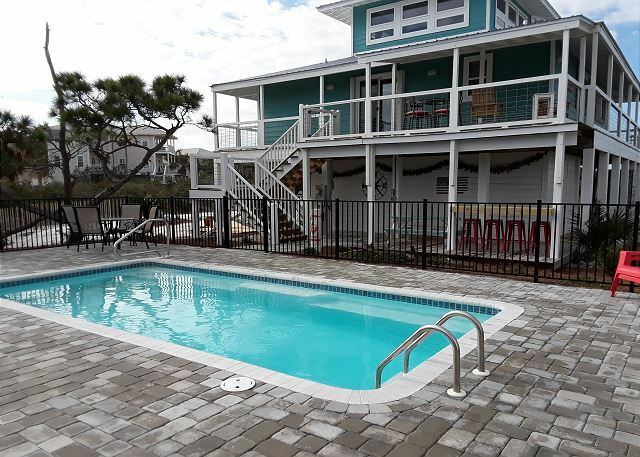 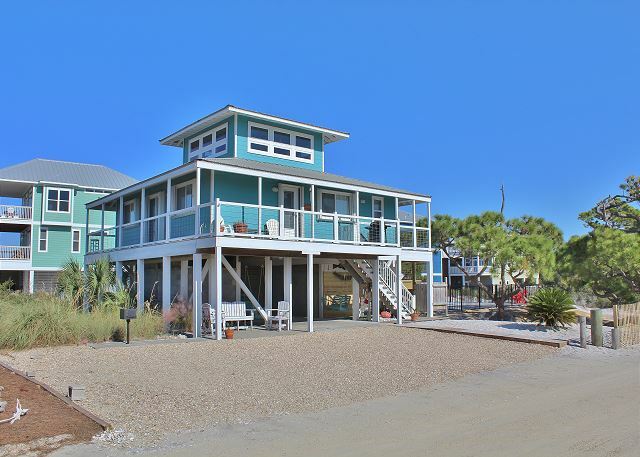 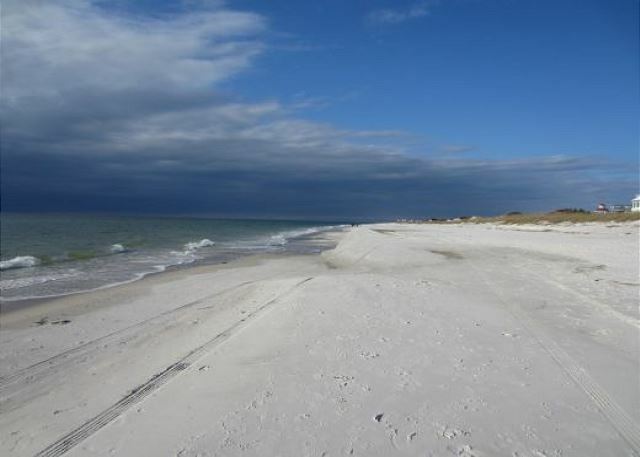 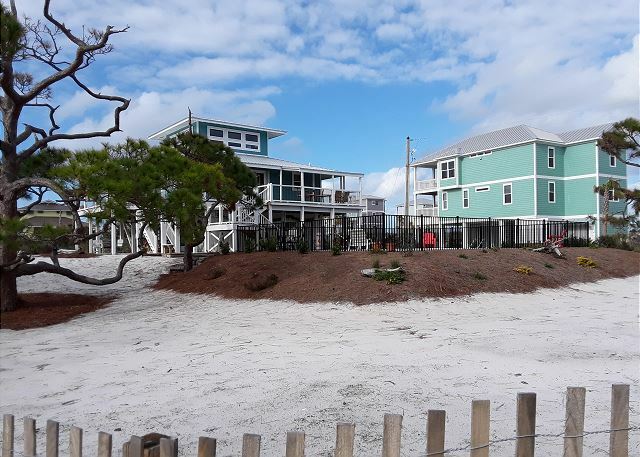 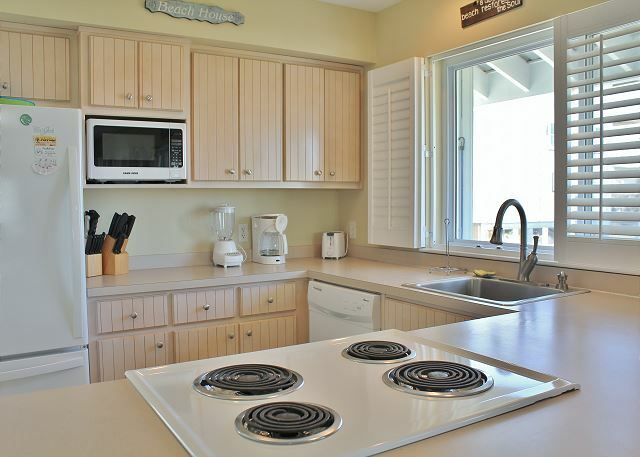 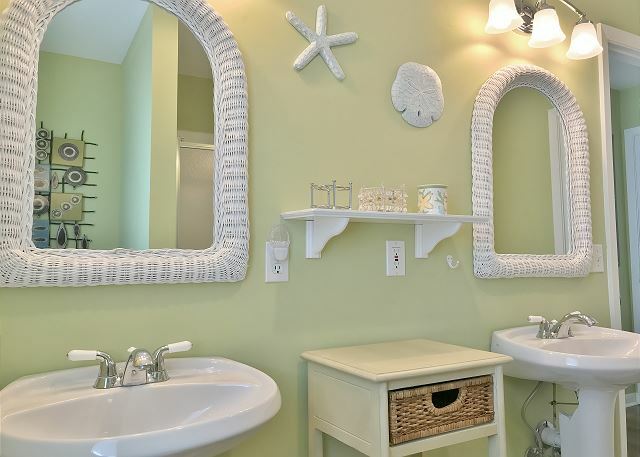 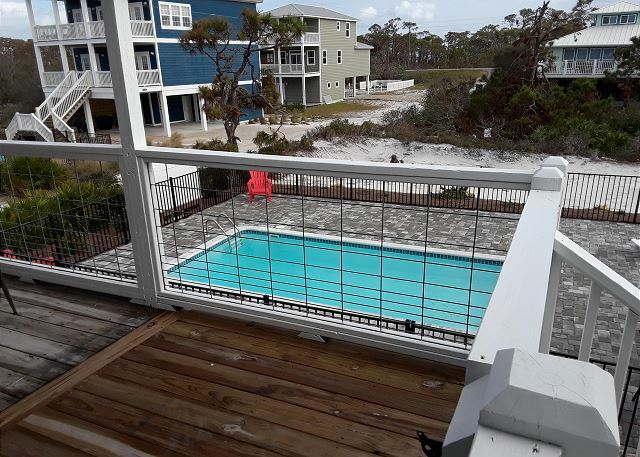 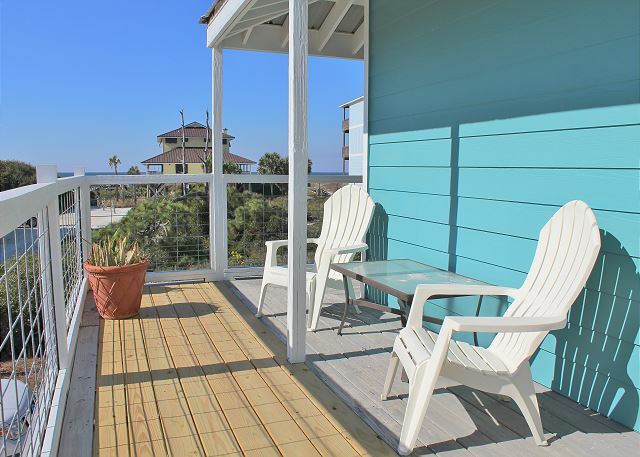 Cape San Blas has so many great rental homes to offer, and sometimes it’s hard to choose. 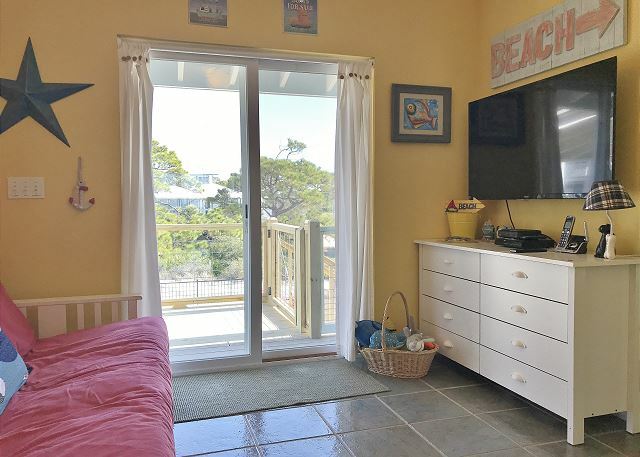 Beach Days has just made your search easier. 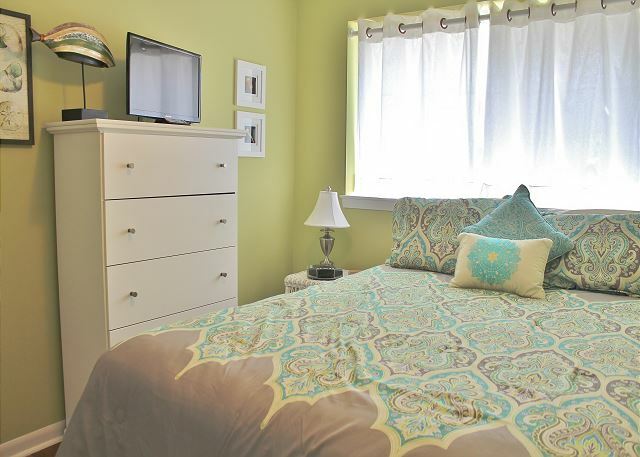 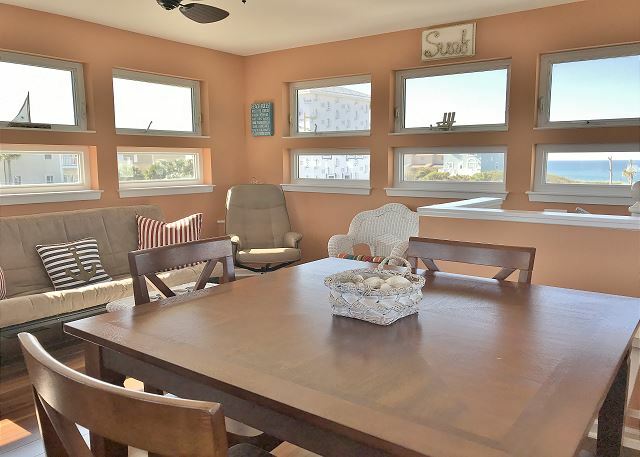 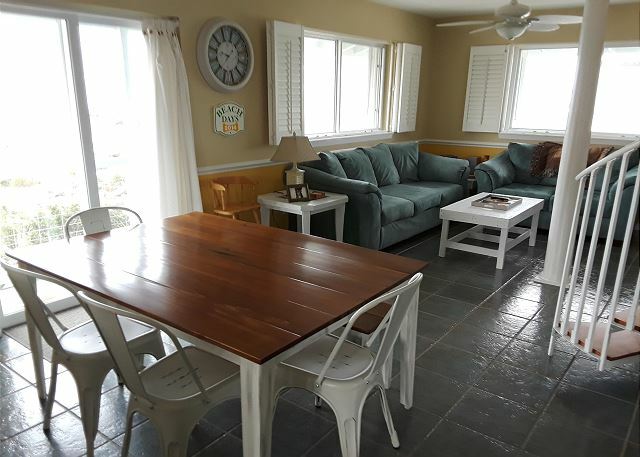 This is the ideal rental home for a party of 6 looking to relax, unwind and enjoy themselves on the beach. 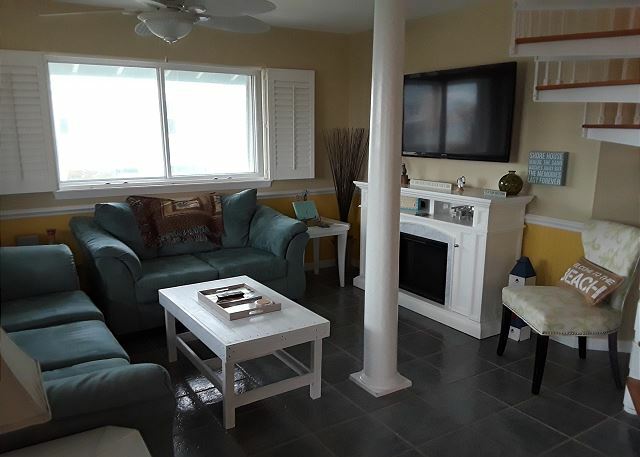 A single family home located a short walk to the beach, Beach Days is situated with the living area and bedrooms all on one level. 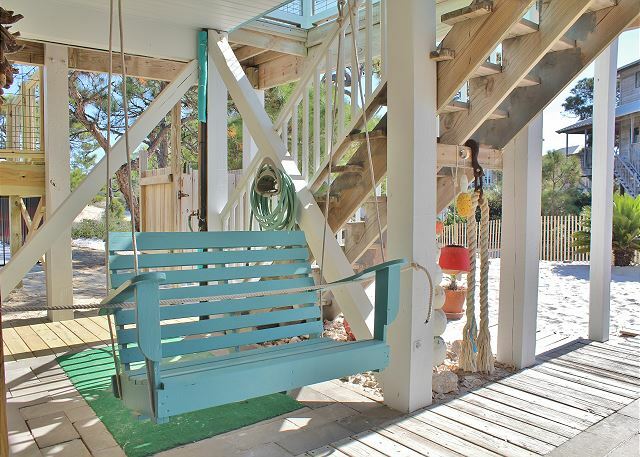 There is a covered wraparound deck along this floor with petproof gates at both sets of stairs. 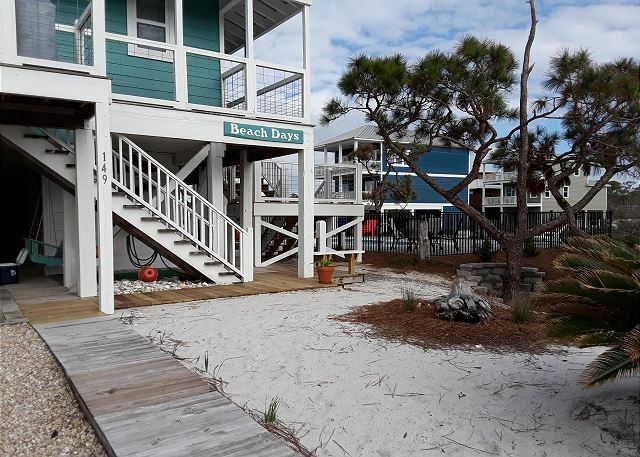 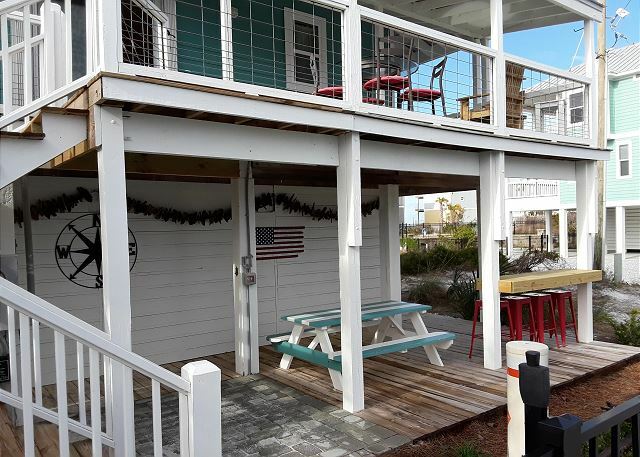 Beach Days has recently been remodeled both inside and out with new paint, furnishings and hard surfaced floors throughout. 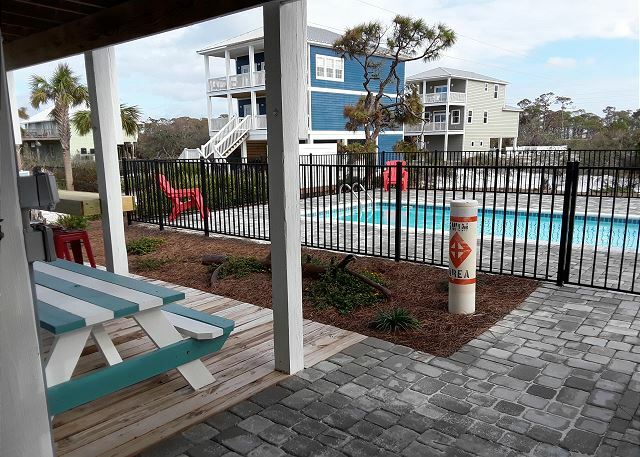 Outside has a new 12’ x 24’ in ground pool with a 30’ x 40’ paver pool deck along with patio furniture and a roomy covered deck area with a bar and picnic table so you can enjoy the shade while watching the kids play in the pool. 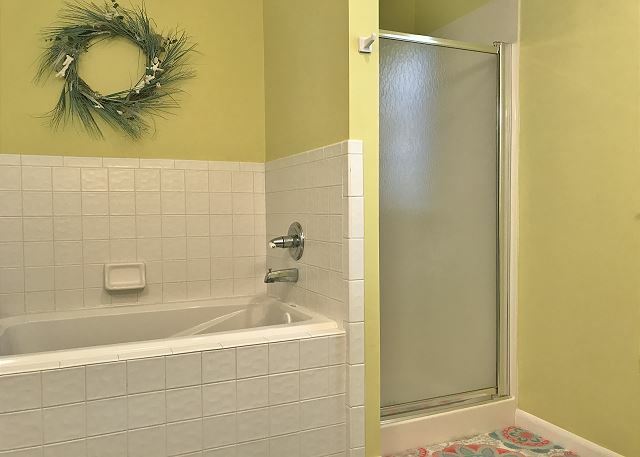 It is roomy and open and perfect not only for the humans in your group, but also for your small dogs 50lbs or less. 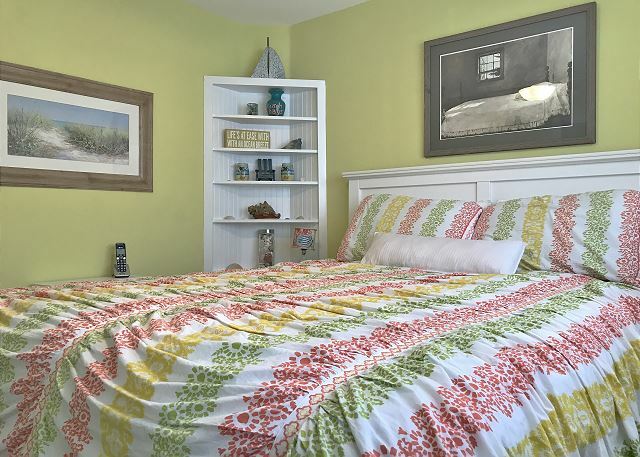 If you’re bringing smaller children a pack ‘n play is available too. 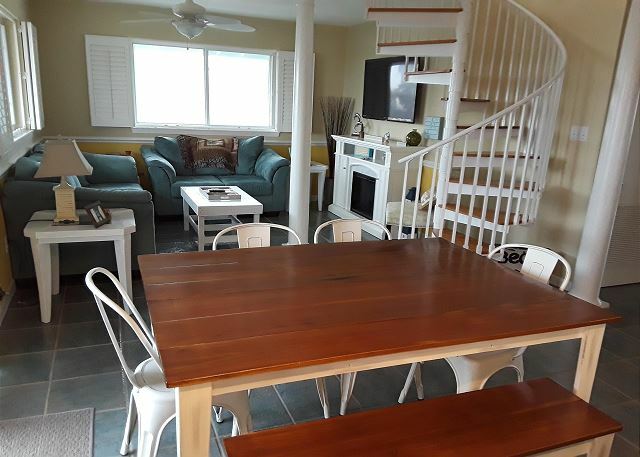 If after the children get tucked in the adults want to play a game of cards or watch a little TV, the top floor is an open loft with chairs, a dining table, futon, TV and small fridge. 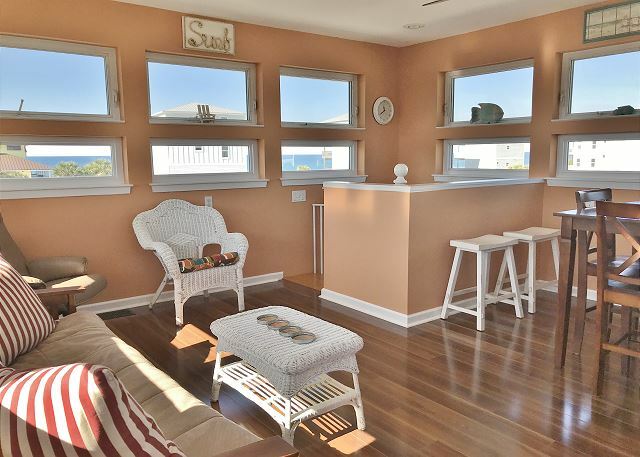 The best part of the loft is the wraparound windows with towering views of the Gulf. 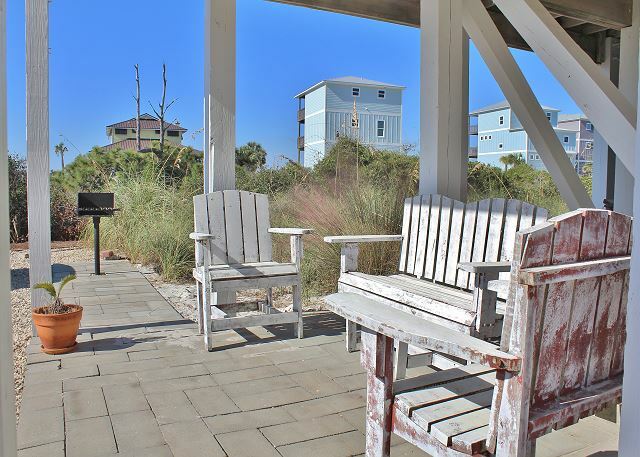 You can catch amazing sunrises and cocktail sunsets from this comfortable area. 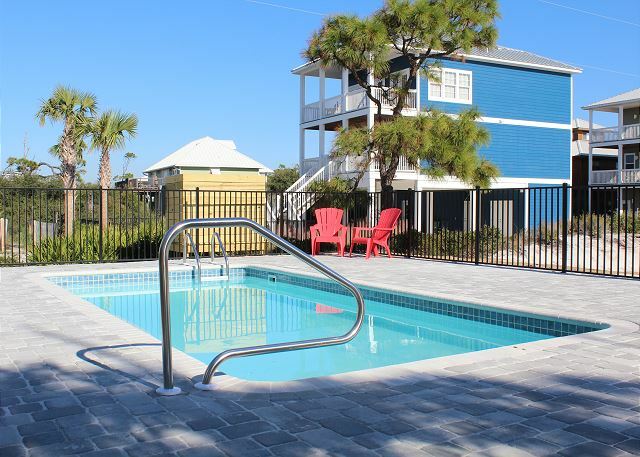 Floor Plan: Ground level – covered, paved parking along with extra vehicle and boat parking. 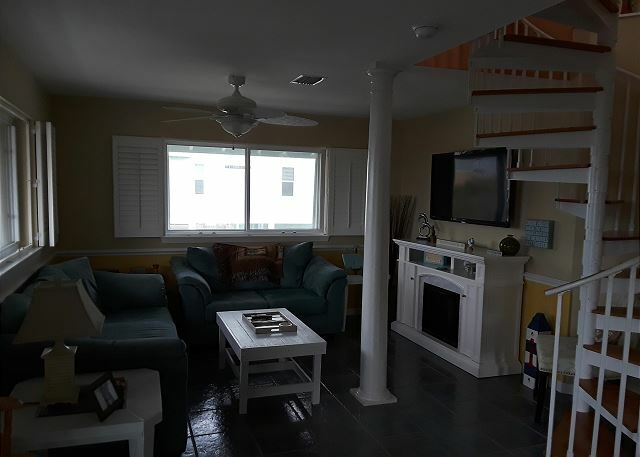 1st level – kitchen, dining area, an extra bistro table, living room with TV, DVD and CD/Cassette player; Bedroom 1 – queen bed, TV, full bath with shower stall and double vanities which connects to an additional sleeping area with futon, TV, DVD and deck access; and Bedroom 2 – queen bed, TV, DVD, great gulf view and full bath with separate shower and tub and double vanities.